1. Exterior – First area on your list should be the home’s exterior since it will be the first thing you and other people will get to see. Check if there are cracks on the walls, examine the quality of the paint finish, and if the flashings are securely installed. Moreover, you should also take a look at the grass if the lawn looks presentable to you. 2. The doors and windows – Next thing you need to check on are the doors and windows, as they play huge roles in terms of keeping your energy expenses down and ensuring the safety of your family. Check if there are any signs of damages on every door and window and see if they are still in good condition. Do you hear any squeaking sounds whenever you open and close them? How about the doorknobs? Do they still function properly and do the keys still open and lock the doors seamlessly? 3. The Interiors – Next, we go to the interior part of the house. Like in the exteriors, check if there are small cracks on the walls and if you can smell any foul odors, as this could mean the presence of water damage. Examine the paint if the condition is still ok and check for signs of water leaks right around the ceiling. How about the carpets? The electrical outlets should also be far from kids’ reach. 4. The essential home systems – Essential home systems such as the HVAC and home security equipment like closed-circuit cameras should also be working. These items will help ensure that your family is comfortable during summer and winter, and keep them protected from evildoers and intruders. 5. Kitchen – The kitchen is one of the most vital areas of a home, and its fixtures should all be in great condition. Check all of the cabinets and the cooking range if they are still working properly. Make sure there is also some space for the dishwasher as this is also important. 6. The bedrooms and bathrooms – Lastly, you need to carefully inspect the bedrooms and bathrooms. Do they have enough working lights? Do they have cabinets where you can store your clothes and other stuff? How about the electrical outlets? Are they all working? We recommend researching additional resources online. Zillow and Homes.com offer valuable tools and resources on their websites and Valerie Fitzgerald has one of our favorite real estate blogs with lots of real estate articles. Napa Valley may be one of the smallest cities located in California but it contains some of the most expensive real estate properties in the entire state. Napa both has the white and blue-collar jobs to boast its economy, particularly in the tourism side. The median home value in the city is $582,800. Alta Heights is the community for Italian families who settled here in the aftermath of an earthquake which destroyed the city in 1906. The community is surrounded with many interesting architecture, and provides a sweeping view of the Napa Valley below it. Zillow puts the median home value estimate to $565,900. Majority of properties for sale or for rent in this neighbourhood are condominiums, either one or two bedroom units. 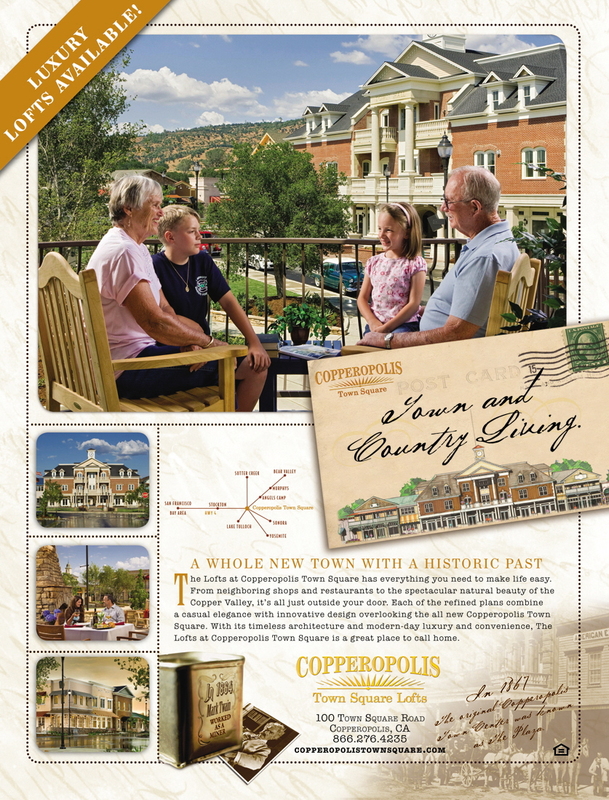 The community has a swimming pool, a golf course, shops, spa, and restaurants. The cost of living is 54.60% which is higher than the national average. The median home cost is $472.500. Bel Aire is known for its peaceful streets with bustling commercial centers. The community is accessible to the highway. It was once an agricultural area before it was developed to a residential area we know today. The median home income is $72, 564 and the average home value is $582, 800. Westwoods close proximity to the main city makes it a high-valued location for residential and commercial properties. It is used to be a large valley of farms, plantations and orchards. Today, it comprises the Westwood Hills Park, many excellent schools, the Napa Premium Outlets and so much more. Most of the houses where constructed in the 1950’s by the Devita family. The median list price in this area is $529,000. This neighborhood is located on the eastern part of Highway 29. It has there public elementary schools, one middle and one high school. It is close to both the Napa Outlets and the downtown area. Many residents are using bike as a mode of transport. The average home price is $609,000. The neighborhoods close proximity to the bay makes it foggy and breezy, which makes it ideal for growing grapes. Today, there are more than 6,000 acres of vineries in the area. The median sales price is $527,000. The median sales price per square foot is $335, 000. Should You Move Into an Apartment or a House? With an upsurge in the current real estate trends, more and more people are inclined to buying homes rather than renting apartments. However, there are numerous factors to consider while making the decision whether to buy a home or rent an apartment. This is because both renting and buying a home both present an array of challenges. With market prices constantly fluctuating, you can never be sure that it’s the correct time to buy a home. In order to decide the best option to take, it is paramount that we consider the pros and cons of renting an apartment vs. buying a home. It may seem as a best option for many people to buy a home. Yes that true. Even so, owning a home presents numerous challenges. Let’s take a look at both. Owning a home is a form f an investment. It provides some benefits that last long like equity, security and a greater potential t expand your wealth. As an investment, your home will appreciate in value over time. So you will be sure to get a profit when you finally decide to sell the house. After completing the transaction with the seller and signing the relevant deed forms, the home officially becomes your property. This means that you will have a greater freedom to d anything with it without any restrictions from anyone, unlike an apartment where you’ll l have constant supervision from the landlord, or noise complaints from neighbors. Owning a home enables you to generate income by renting the house if you don’t want to sell the property, or renting out one or two rooms. As a home owner, you have the chance to impress the banks by repaying your mortgage debt on time. This ultimately increases your credit score. With huge financial responsibilities like house maintenance, utility payment and bond repayment, owning a home can be a bit expensive. Owning a home does not only mean that you will have to pay the agreed amount. There are hidden costs like taxes, insurance, rates and maintenance for which you as the home owner are liable to pay. There is a risk of getting a loss through a resale due to economic factors and the nature of the real estate market. Renting an apartment allows you more flexibility especially if you don’t intend to stick to one place for long. It requires no actual commitment and you can move away whenever you feel like. This is especially ideal for people with flexible jobs and who move around a lot. Renting an apartment gives you an opportunity to live in a house that you couldn’t possibly afford to buy. There are no responsibilities attached with moving out as you will not be tasked with finding a buyer like a home owner. Upon signing the lease agreement, you will be bound by all the rules thus you won’t have much freedom. You have no guarantee that the lease agreement will be renewed if it expires. You won’t have control over any rate fluctuations, unless you’re living in a rent-controlled area. Overall, the move between an apartment and a home requires many factors to be taken into consideration. Managing small rooms and utilizing the small space that exists can be slightly problematic to some individuals. However, a small room with limited space can be converted into a very spacious area if some tricks and techniques are put into action by the person in-charge of arranging and sorting the room. Actually no room is small because no matter the available space what matters is the skill used to create more space that was not there in the first place. Your living space can be as big as you want it to be as long as you use your creativity to get more space while avoiding stuffy situations. Demand for more houses has increased in the recent past and real estate investors have responded to this by creating more units in apartment complexes, however these units have become smaller and smaller throughout the years. This has called for more swift skills needed to arrange a room in a unique way to create a more spacious living arrangement. Bring more reflective surfaces into your room by installing more glass and mirrors in strategic points around your living room. These reflecting materials actually work in such a way that they create space that can be called ‘negative’. This is a technique used by interior designers to have that extra space in your living room. It works, and it shouldn’t be doubted. The furniture you have and how you arrange it around your living room will determine the space capacity in your room. For better arrangement of space in a rather small room, furniture must be placed in such a way that the horizontal and vertical spaces are utilized in a creative manner. For instance you can have your bookshelves vertically arranged at the foremost end of your living room. You can always create more space on the background just in case you need more book shelve space. Always have chairs or tables with legs. Why is this important? When arranging your living space it is important to get chairs and tables that can enhance the visual look of your room. Large and boxy-like furniture prevent your room from getting that visual and negative space it should have. Using furniture that has legs creates a heightened look within your room, thus creating more light. It is important to use coffee tables with legs because the eye will see it as an addition to your space, while a boxy table will add more mass to your space, making your visitor feel more enclosed.Make sure your table has a glass top or some sort of glass ornament in order to blend with the mirrors installed around your room to get that more space. Fun and sleek furniture helps create more space in your living room. Bring that extra space into your room by choosing the best furniture in terms of scale. Choose sleek and matching furniture for your room. For example, you can avoid chairs with arms and excessively large furniture that would take more space. Furniture arrangement around your room should be in such a way that more space is created for other purposes and to avoid stuffiness in your living room. By having a sofa that has a bookshelf incorporated in its back, you are maximizing your space. Look for useful furniture that have multiple uses. European and Asian furniture makers are experts at creating such furniture. If you go to Japan and look at a small apartment you’ll see that no space goes unused. It is quite impressive how skilled they are at maximizing their limited space. Expand your room by painting it using monochromatic or neutral colors. Neutral colors are believed to be magic especially in creating more space in your living room by pushing the walls away visually and letting the eyes move freely without obstruction. Soft white colors, like ivory, are most popular when it comes to this technique. It’s a magical illusion that should not be foregone. Moving From a House Into an Apartment? Here’s What You Have to Know! Moving from a house into an apartment is not rare, and the reasons may be numerous – searching for a change, reducing costs, getting a job in another town or getting married and moving away from the parents’ home. Whatever the reason may be, it is not easy to switch from living in a house where you have your own privacy to the apartment where you will be surrounded by other tenants and where you will need to adopt a slightly different lifestyle, behavior and habits. In order to make moving into an apartment as easy and stress-free as possible, follow the advice we will give in this article. Manhattan is a prime example of a city with many amazing apartments. Be sure to find a top Manhattan real estate broker to help you find your dream apartment. When you decide to buy or rent an apartment, it is important to choose the floor and the part of the building where you will feel the most comfortable. It is not the same whether you are on the first or the last floor, or somewhere in the middle of the building, surrounded by the other tenants apartments from all sides. If you are moving into an apartment from a house, it is better to choose the first or the last floor, where you will not be directly surrounded by so many apartments and tenants. Moving from a house into an apartment usually means moving into a smaller space. This means that you will not be able to bring all the furniture and other items with you. Bring only what you absolutely need, and for the rest of the stuff there are several solutions. If some members of your family will go on living in the house, you can simply leave the part of the items there. If you will sell the house, you can also sell the items you will not need, and you can hire a storage room for the rest. It is also important to use up the space once you move into the apartment, because you may feel like you lack space if you do not pay attention to making the proper arrangement. Moving is a big step no matter the circumstances and reasons for it. Therefore, it is always quite stressful, and the stress is even larger when you move from a house into an apartment. In order to make this moving less stressful and more successful, it is recommended that you hire a professional moving company. They will transport your stuff safely and timely, and they will also help you carry all the items to the apartment. Keep your family close – moving from a house into an apartment is a big change, and some people may find it difficult to cope with. Therefore, keep your family close, support each other and if someone has difficulties adapting to the new lifestyle, make sure to be patient and provide all the help and support you can. it is true that living in a house has many positive aspects, but living in the apartment has certain advantages over living in a house: you do not have to deal with the lawn, the costs of living are smaller, as well as your responsibilities if anything breaks. Focusing on the positive aspects of living in the apartment will help you adjust to the new situation faster and start enjoying your new life in the new home. Moving to a new home usually represents the beginning of a new period of life, and it can be quite exciting and positive. However, it requires a lot of planning, hard work and thinking about all the tasks you need to perform before you leave the old home. Packing is one of the major tasks when you move home, and it demands a lot of time, good organization, and also some skill if you want to keep all the items safe and secure from being broken, damaged or lost. In this article you will find some useful tips for successful and effective packing. Before you start packing, it is important to prepare all the materials you may need, so that the packing runs smoothly and for you to be able to finish it quickly. If you have saved the original boxes from a TV, PC, stereo etc., it is time to get them. Also, buy some bubble wrap for the fragile items, plastic garbage bags, adhesive tape and additional boxes you may need for storing the items. Instead of packing sheets and towels separately, you can use them to protect the fragile things such as cups, vases, lamps and the like. This is a useful trick which will save from buying too much bubble wrap, and it will also help you “kill two birds with one stone”. This is a useful trick that makes unpacking and arranging the items in the new home much easier. Pick a color for each room in the new apartment, and when you pack the boxes, label them with the appropriate color. This way, when you move the stuff to the new apartment, you will be able to find and arrange them without too much effort. When you start packing, it is important to pay attention to several aspects. The items should take as little room as possible, you should protect the fragile items, and you should organize them according to the rooms they belong. Packing clothes can save you a lot of time if you pack them while they are on hangers, instead of taking everything off hangers and folding it. Simply zip-tie several hangers together and cover them with a garbage bag. Plates should be packed vertically and folded in bubble wrap, because there is less chance that they will be broken. Mirrors, framed photos and pictures need to be packed separate from each other, carefully wrapped in bubble wrap, marked as “fragile” and with glass turned upwards. Packing does require a lot of work, but it does not mean that it can be devoid of fun. Include your family members or friends in the packing process, because not only this way it will be much easier to deal with the work, but it will be completed much sooner than it would if you did it all yourself. Moving into a new apartment is a new start, and it can bring you a lot of excitement, joy and a whole new life. However, even if you are excited about moving to a new place, it certainly requires a lot of work and it can be a quite stressful activity. Because of this, it is necessary to follow certain steps and to be well organized, in order to reduce stress to the minimum and to make the moving as fast and easy as possible. Before you even start moving, it is important to organize and make a plan in order to make the moving run smoothly and without bigger issues. Lists are a great help in this situation. Therefore, make a to-do list of what needs to be done before the moving, on the moving day and after the moving. Make a list of the items you want to bring, those you want to sell or give away and those you want to throw away, and also a list of the items you need to buy for packing all the stuff you plan to bring with you. Before you decide whether you will be able to bring all the furniture with you, it is important to get to know the new place. Take a tour around the new apartment, measure the doors and the windows, and get the apartment’s blueprint, so that you can be sure whether the existing furniture will fit and to plan where it will be placed. Ev en if you will move all the furniture to the new apartment, there will certainly be some items you can get rid of before the moving day, especially if you have lived in the previous home for a long time. Gather all the old stuff you will not need anymore, give them away or throw them away if they are unusable. If there are some valuable things you do not need anymore, you can organize a yard sale before the moving. By getting rid of the unnecessary items you will largely reduce the effort for packing and moving. Packing is the most demanding part of the moving, especially if there are plenty of small or fragile items. However, do not leave it for the last minute. Make a plan of packing and pack all the fragile items properly, so they do not get damaged during transport. Include the family members or friends in the packing activity, so that it becomes more fun and easier to complete. In order for the moving to be fast, successful and safe, it is the best if you can hire a professional moving company. If not, do not hesitate to ask for help from your family and friends, because you will definitely need someone else to help you with transferring and carrying all the items. Lastly, shortly before the moving day or immediately after it, make sure to cancel or transfer the services such as Internet, cable and the like onto the new address, and also make sure to forward the mail, so it arrives onto the new address.